This drama film is one of the first pictures to advance the feminist social and political point of view. Its plot centres on a long and difficult strike, based on the 1951 strike against the Empire Zinc Company in Grant County, New Mexico. In the film, the company is identified as "Delaware Zinc," and the setting is "Zinctown, New Mexico." The film shows how the miners, the company, and the police react during the strike. In neorealist style, the producers and director used actual miners and their families as actors in the film. Director Herbert Biberman was one of the Hollywood screenwriters and directors who refused to answer the House Committee on Un-American Activities on questions of CPUSA affiliation in 1947. Other participants who made the film and were blacklisted by the Hollywood studios include: Paul Jarrico, Will Geer, Rosaura Revueltas, and Michael Wilson. The producers cast only five professional actors. The rest were locals from Grant County, New Mexico, or members of the International Union of Mine, Mill and Smelter Workers, Local 890, many of whom were part of the strike that inspired the plot. Juan Chacón, for example, was a real-life Union Local president. In the film he plays the protagonist, who has trouble dealing with women as equals.The film was denounced by the United States House of Representatives for its communist sympathies, and the FBI investigated the film's financing. The American Legion called for a nation-wide boycott of the film. 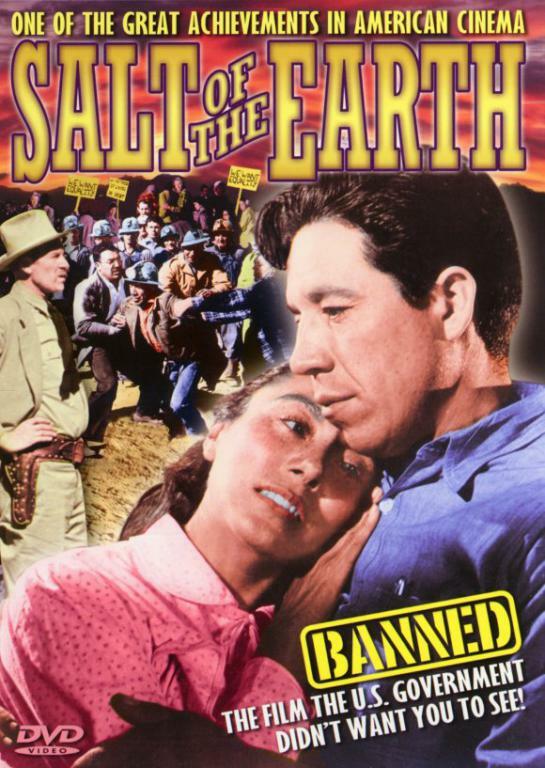 Film-processing labs were told not to work on Salt of the Earth and unionized projectionists were instructed not to show it. After its opening night in New York City, the film languished for 10 years because all but 12 theaters in the country refused to screen it. By one journalist's account: "During the course of production in New Mexico in 1953, the trade press denounced it as a subversive plot, anti-Communist vigilantes fired rifle shots at the set, the film's leading lady Rosaura Revueltas was deported to Mexico, and from time to time a small airplane buzzed noisily overhead ... The film, edited in secret, was stored for safekeeping in an anonymous wooden shack in Los Angeles."